Louise Dawson Design: Customised Packaging! My finished jewellery box label! I've been busily working away in the studio making jewellery for a photo shoot in a few weeks time, the images from which I will be using to set up my online shop (Very exciting!) So I'm very busy, but that's how I like it. For a long time I've also been considering what packaging I should use when sending my pieces and having chosen some smart black jewellery boxes, today I've been in the studio having fun experimenting with inks to come up with labels for them. My goal was to create something individual to customise my boxes, to make the packaging as special and unique as the jewellery inside, so I went for an "old paper/vintage photo" look, to complement the recycled aspects of my work. I then added some teal ribbon to complement my logo, some vintage lace and some of my trademark pearls and diamante! 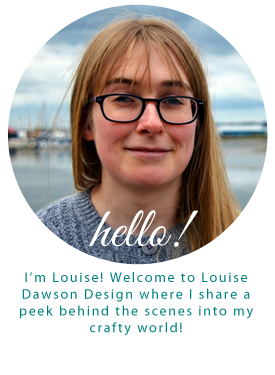 In the meantime, whilst I am setting up the online shop, my pieces are still available to buy or commission- contact me via enquiries@louisedawsondesign.com - you could be the first to receive a piece in a lovely new box! The Lovely Place Where I Work!